Hello! 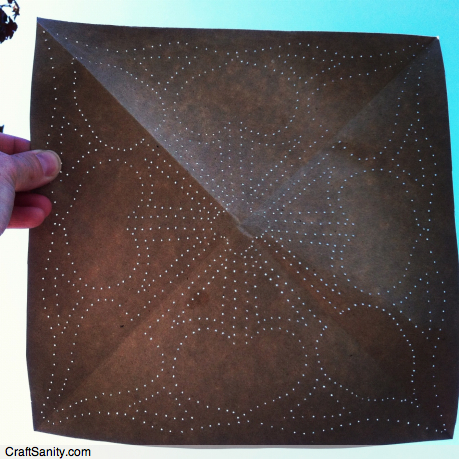 I’ve been completely swamped here at the CraftSanity Headquarters as the winds of change swirl around us once again. I’m staring down a monumental professional challenge (more on that later) but I’m going to do my best and I firmly believe that good things are on the horizon. 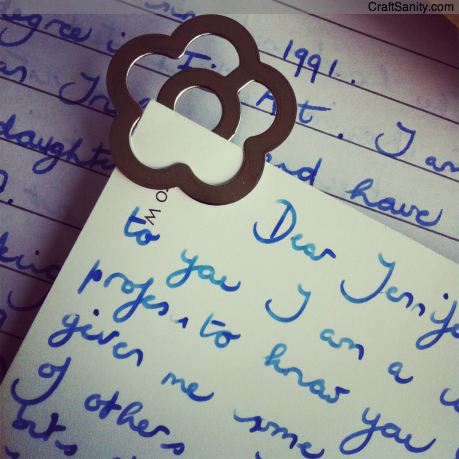 I’m a tad behind in answering CraftSanity email (My apologies to those who are awaiting replies!) and wishing I could somehow extend summer for a few more weeks. Even though I have piles of work to do, I’ve been stealing away little bits of time to work on my first needle turn appliqué sample. I started it about a week and a half ago and just sewed the binding on yesterday while my daughters we’re swimming in the neighborhood pool. 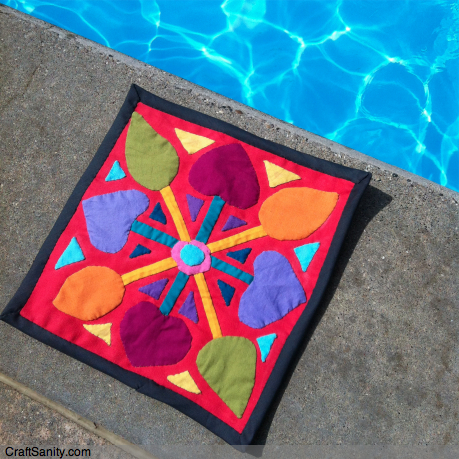 My mini quilt was inspired by the Tentmakers of Cairo. I met two of them a couple weeks back at the American Quilter’s Society show in Grand Rapids. I had been itching to try needle turn appliqué for years and watching them work completely pushed me over the edge and I became completely obsessed with trying it. So I went home the day I met them and got to work. It took me a long time to transfer my pattern and my sample has a couple annoying puckers, but I think I’m starting to get the hang of it. And it is SOOOO FUN! Seriously. If I could, I would stitch all day long. You can read about what happened when I showed one of the tentmakers, Hosam Mahmoud, my sample in the Sunday, Sept. 1 print edition of The Grand Rapids Press or read it on MLive. 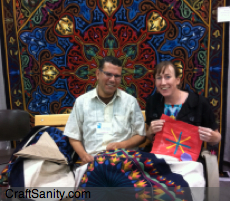 During the show, I posed for a photo with my sad sample next to Mahmoud and his impressive work in progress. While it was humbling to place my work next to his, I have no regrets about looking foolish. I completed that piece in the photo and now I have a pretty good idea of how needle turn appliqué works. I have plenty of room for improvement, but I know way more now than I did before meeting the tentmakers and I’m happy to have seized the chance to chat with them. The pita bread dough is rising in the kitchen. I’m making a fresh batch for the back-to-school lunches. 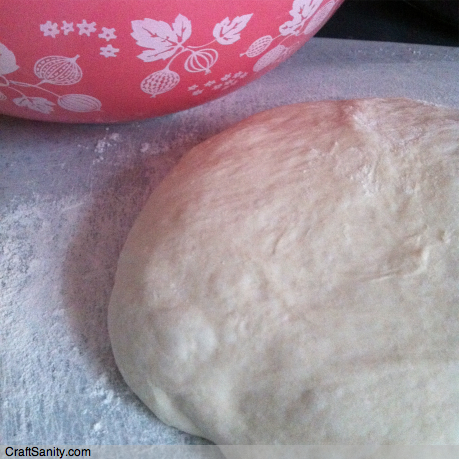 (My favorite pita bread recipe was in CraftSanity Magazine Issue 2.) The good news is that the kids are super excited about starting the new school year. And I’m very happy to report that after years of juggling insane work schedules, Jeff and I will both be home for dinner starting in about a week. As career journalists, family dinners have not happened most of our married life. Deadlines, crappy schedules and work demands have always got in our way. But that’s all about to change for the better. This new family schedule will start soon and we deserve it. Heck, every family deserves a chance to share a meal together and it’s sad to think about all the dinners we’ve had with an empty chair at the table. If I had a dollar for every time one of my girls said, “Somebody’s missing,” while glancing at an empty seat in the kitchen we’d have grocery money for the year. But as parents we do what we have to do to put a roof over our heads and food on the table. And I’m sure many of you have found yourselves in similar family life-interrupting work situations. I left my day job three years ago in an effort to restore a family focus to our lives, but Jeff soon moved to a night shift that made family dinners impossible during the school year. But sometimes we just have to deal, right? Jeff and I have been patient and now we’re very glad that positive change is finally coming our way. This is my cue to clear all my projects off the dining room table and prepare to start eating there – together – again. Before I sign off I want to send good thoughts and a very special thank you to Mirjam in Dublin, Ireland. I hope she’s okay with me sharing that she sent a sweet letter and goodies for the me and the girls. The package arrived over the weekend and was a most lovely and well-timed surprise. For those of us who are wired differently than many of the people we know, it’s always a joy to “meet” a kindred spirit. Thank you for your kindness and for reaching out to share your story. The girls and I are already brainstorming how we can respond in kind. Thank you for making my daughters smile. They were really impressed that you know about their farm dream. Ok, folks, I have a lot work to do and must get to it. Have a great night.